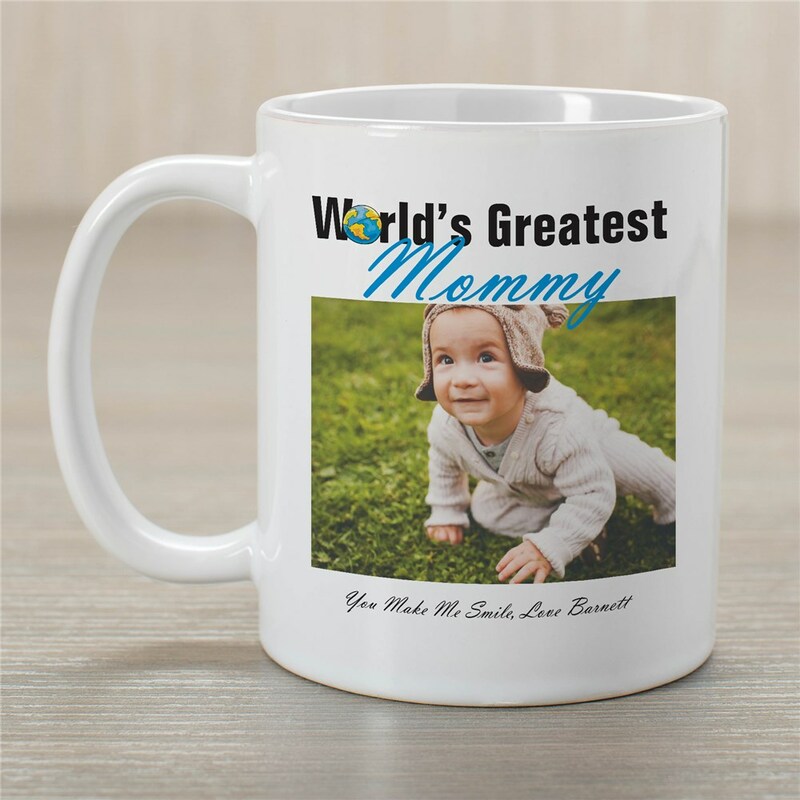 Let your Grandpa, Dad, Grandma, Mom or favorite Aunt know they are the World's Greatest with this unique World's Greatest Photo Customizable Coffee Mug. Your favorite digital photo will look fabulous on these one of a kind Personalized Mugs. The perfect Personalized Gift for Mother's Day, Father's Day, Grandparents Day or Christmas. Your Custom Printed Photo Coffee Mug is Dishwasher & includes FREE Personalization! Upload your favorite photo below. Please don't send any photos in the mail, digital photos only. Please enter description of photo. (ex. three kids, little boy in the middle) Personalize your World's Greatest Personalized Photo Mug choice with any title and an optional one line custom message underneath the photo. (Ex. We Love You, Emma and Jacob) Mugs are available in different sizes ranging from 11 ounces to 20 ounces. I ordered 4 mugs a couple of weeks ago and I love them so much I am back ordering another mug today! Thank you. I ordered 3 mugs for the men in my family-they all turned out perfect! I spent months trying to find a cute grandpa & uncle gift & couldn't find anything except picture frames anywhere! These mugs are perfect & to have my little girls pic on them is adorable & extra special! Plus they were here so fast!! Definetly would order from here again! Personalized Photo Keepsakes make great photo gift ideas for Mother's Day, Father's Day, Christmas Gift ideas and Grandparent's Day.